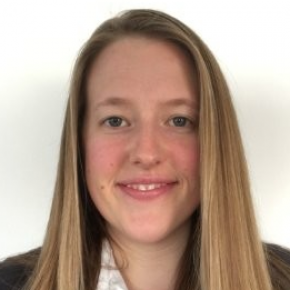 Laura von Wahlde serves as the Operations Associate at the World Cocoa Foundation, where she assists with a wide range of operations tasks including financial, human resources and IT projects. Before working at WCF, Laura worked in a wide variety of roles and responsibilities that ranged from the food industry to work as a copy editor. She previously worked as an office assistant at the Office of Political Science at Boston University, as well as serving in several volunteer roles, most recently at the U.S. Botanic Garden in Washington, D.C.
Laura received her BA in International Relations with a minor in German at Boston University and also attended the Technische Universität in Dresden, Germany. She went on to obtain her masters in Global Affairs with distinction at the University of Buckingham in Buckingham, England.